Let’s get some zzzz’s! Susie Parker is here to troubleshoot the most common toddler and preschooler sleep issues. 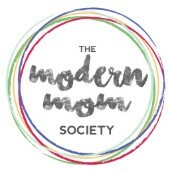 Toddler Sleep Success E-Course: Limited time offer for Modern Mom Society members: 50% off! Susie’s free gift is a Toddler and Preschooler Sleep Success Checklist! Get Susie's Free Gift Here!